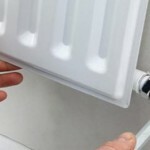 Free Estimates will be provided for all central heating boiler installations. Please call us to book an appointment where we would be happy to help. Stirling Plumbers ® has been a family run Business for over 22 years with vast experience in Plumbing & Heating installations and maintenance. We provide first class, reliable and competitively priced plumbing, heating and associated services to customers throughout the Central belt. We cater to both domestic and commercial customers offering the highest level of expertise and skill. We are Gas Safe Registered so you can rest assured you are in safe hands. 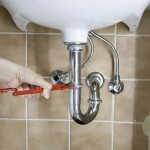 We provide Free Estimates for all your Plumbing & Heating needs. 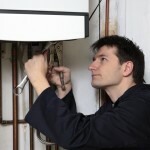 Plumbing & Heating is our core business however, we also offer Joinery & Electrical Services. Stirling Plumbers ® is a well known independently owned Business based in Stirling. We pride ourselves on our professionalism and high level of customer care which promotes repeat work from previous customers and referral work. Stirling Plumbers ® is able to provide you with a professional and cost-effective solution to your plumbing and property maintenance needs. We are fully Qualified and our work is guaranteed for 1 year. Stirling Plumbers ® can solve all your Plumbing and Heating needs, from a leaking tap to a complete Bathroom or Boiler installation. We also carry out Landlord Safety Certificates and many more, so if you need help with any of these issues, please give us a call for our free quote. And many more, so if you have any these problems needing sorted then why not give us a call for our free quote.